No doubt Brian has extended our thanks to you and the team for assistance and attention to our requirements. I would like to extend my personal thanks for your assistance in realising our vision for the area. 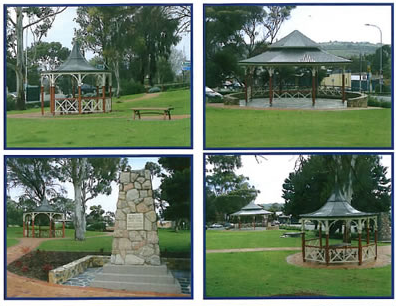 The two structures have made a significant statement in enhancing the streetscape of the McLaren Vale township and are drawing favourable comments from the local community and visitors alike. Should you find yourself in our city we would be pleased to meet with you. 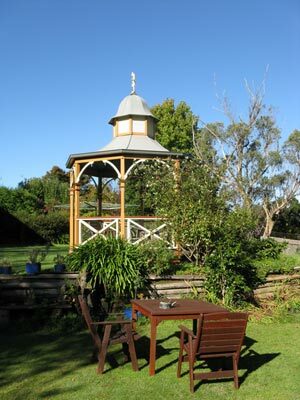 Four years ago we installed one of your gazebos at our home in Katoomba NSW, and remain extremely pleased with the result. It is much used for entertaining or just sitting, and has greatly impressed all who have seen it. The workmanship is excellent and has withstood extremes of wind and weather. I have attached a couple of recent photographs of our gazebo in situ. I would like to thank you very much for your help. The gazebo which you built for us is absolutely beautiful and exceeds my expectations. The tradesmen whom you sent were also wonderful, very skilled and very professional and made sure everything was a hundred percent. I will definitely recommend your product to anyone I know that may benefit from it. I would like to congratulate you for recommending a beautiful design for our gazebo. The finished structure fits perfectly with the surrounding environment with roof pitch and structure matching the house, exposed rafters and classic columns providing large open space for year-around outdoor living space. 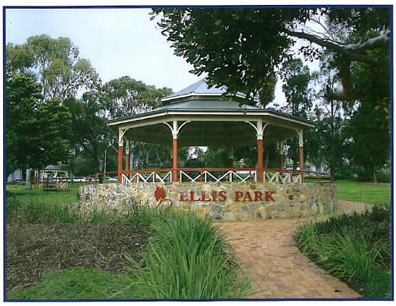 The best thing was that when the time came to sell our home, the gazebo was used as the main marketing feature, adding thousands of dollars more the property value. Geoff, I would like to thank you for helping me with a ‘very wise personal and financial choice’.